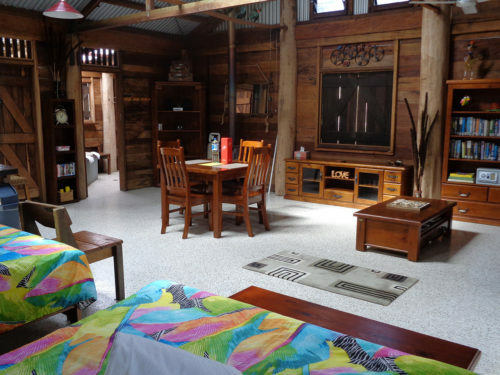 Accommodation Byfield Cabins A Rustic Bush Retreat. Private bush retreat accommodation where couples can enjoy the peace and quiet of nature. Rustic Timber Cabins are large open plan and Spacious. Each cabin Sleeps two adults only. Approximately 1 hours drive from Rockhampton and 40 minutes from Yeppoon. Situated 5 kilometers past the Byfield Cafe and General store. Four Rustic Log Cabins clustered in the centre of the 60 acre block. 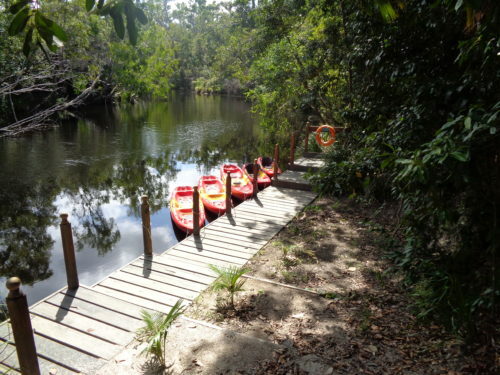 Surrounded by natural bushland and a short rainforest walk to the beautiful Waterpark creek which is our eastern boundary. 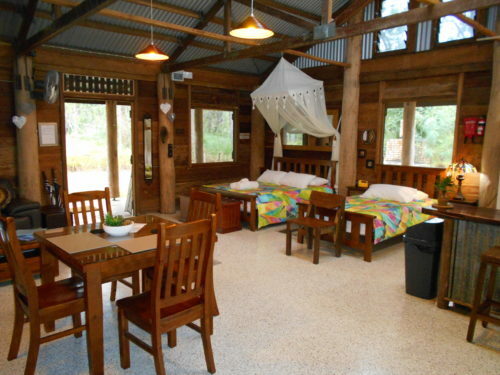 Cabins have high ceilings and large screened shutter windows. Cooling is provided by ceiling fans and natural bush breezes.